"You, Lord, made all the delicate, inner parts of my body and knit me together in my mother's womb. Thank you for making me so wonderfully complex! Your workmanship is marvelous--how well I know it." The building of a child's spiritual foundation begins in infancy, and with that in mind, we teach our babies that Jesus loves them and has a very special plans for their lives. 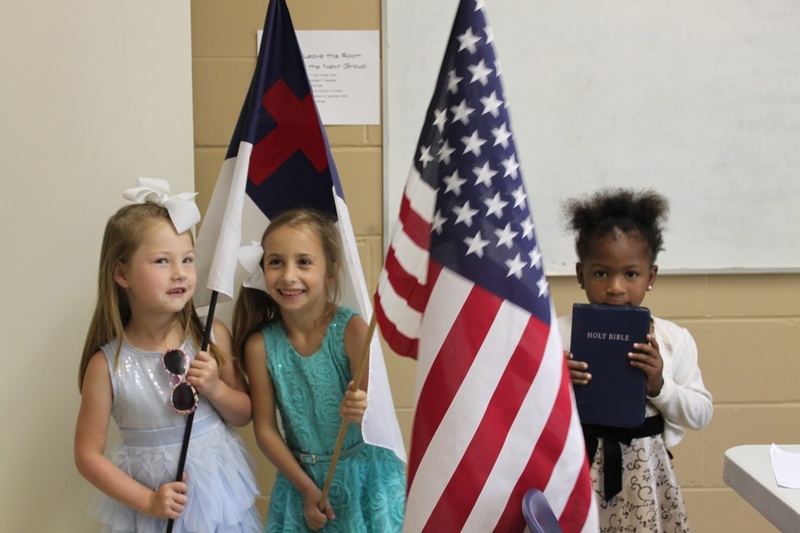 Preschool Bible teaching, music and playtime all revolve around the children's very special relationship with Jesus and seeks to lead them toward the time when they will make their own profession of faith in Jesus as their Savior. "O, Lord, You have examined my heart and know everything about me. You know when I sit down or stand up. You know my thoughts even when I'm far away. You see me when I travel and when I rest at home. You know everything I do." So many changes come in the years between Kindergarten and 5th grade! Children are separated from parents during the day. This new experience can be scary for our boys and girls, and it is important for them to know for certain that even when they are apart from Mom and Dad that Jesus is always with them. Relationships with parents, family members, teachers and friends need to be centered in children's understanding of how Jesus wants them to live. These are the years when many will choose to make their profession of faith and follow the Lord in Baptism.